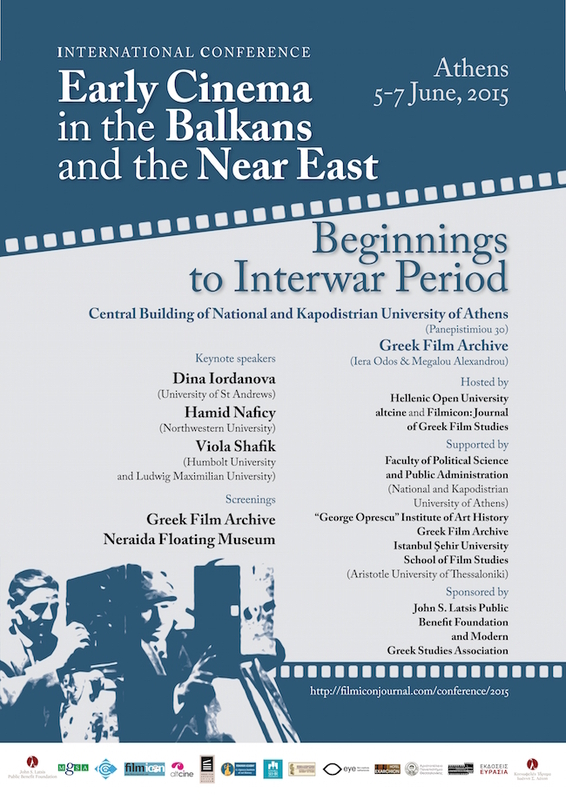 The International Conference “Early Cinema in the Balkans and the Near East – Beginnings to Interwar Period” took place from the 5th to the 7th of June in Athens at the Central Building of the National and Kapodistrian University. Among the organisers were Maria Chalkou from the editorial board ofthe journal filmicon, Canan Balan from Şehir University Istanbul, Vassiliki Tsistopoulou from Indiana University Bloomington, Marian Tutui from Hyperion University Bucharest, and Manolis Arkolakis, with whom we had the pleasure to record this installment. Three Keynote Speakers and thirty-six panelists, coming from departments of film/media studies, history and cultural studies presented their research approaching different contexts on the local, national and regional scale. Apart from the panels, the participants where invited to screenings of rare films with live musical accompaniment at the Greek Film Archive. Being the first conference of this kind covering such a wide space, time and range of disciplines, the event represented both a platform to discuss some results but also an occasion to reflect on the challenges for the further development of this scholarly approach. This episode gives an overview of the content of the conference, the state of research on early cinema in the region as well as some remarks about future perspectives. Manolis Arkolakis is a lecturer at the Hellenic Open University, Patras.